1) My after-tax investment account I created in 3Q2017 after I sold my SF rental house. 2) My real estate crowdfunding portfolio that has mostly investments outside of expensive coastal cities. I care about these two accounts the most because before I sold my house, I had a different investment strategy for this portion of my net worth. I had originally wanted to hold the SF property I bought in 2005 forever. But after a good run up since 2012 and with a new set of responsibilities as a stay at home father, it felt like it was time to simplify life. How I reinvest the ~$1.8M in proceeds will largely determine whether I made the right move to sell the house or not. If I lose money while the house continues to appreciate in value, then I will feel like a stupid idiot. If I lose money while the house starts declining in value, I’ll feel fine. If the house appreciates more than my reinvestments, I’ll at least take solace in all the time and stress saved from not owning. I’ve already conceded it is unlikely I’ll make more money from my reinvestments than if I continued to own the house given they lack the leverage my house had. The house had a market value of $2,740,000 with an $815,000 mortgage. Further, the SF Bay Area economy is bananas. Let’s see how the re-invested proceeds have been doing since San Francisco housing prices are up 7-8% year over year. Although who really knows for sure the price given every property is unique. It wasn’t until February 2018 that I invested my full desired allocation of ~$1,200,000 in house sale proceeds into an after-tax investment stock and bond account I call the House Sale Fund. The remaining $550,000 in house sale proceeds went to real estate crowdfunding by 4Q2017, where I had already invested $260,000. The overall allocation of my House Sale Fund was roughly 45% into individual municipal bonds and bond funds and 55% into index funds and specific tech investments such as Amazon, Netflix, Facebook, Apple, and most recently Tesla once Elon got sued by the SEC. The reason why the House Sale Fund is tech heavy is because my San Francisco rental house was a derivative play on big tech. So I figured, in order for performance to keep up, I needed some tech-heavy exposure. At the same time, I wanted real estate exposure to not lose too much of an allocation in my overall net worth. After the first quarter 2018 correction, I started investing more in equities to get my overall allocation up to 60% equities, 40% fixed income. The House Sale Fund was doing great up through August when it started sputtering hard due to blowups in big tech names. Netflix, my largest individual holding, went from a high of $408 to a low of $317 on August 13. Meanwhile, fixed income securities came under pressure as interest rates kept going up. What went from a ~3% fund outperformance of the S&P 500 ended up resulting in a ~0.5% underperformance by the end of 3Q. My overall objective with the House Sale Fund is to generate a 4% – 5% rate of return with little stress. So far, the fund is up about 8% through 3Q2018. I should consider rebalancing, but I can’t stand the tax consequences and would rather just hold. Here is my last weekly holdings recap I received for the quarter from Personal Capital, which highlights my overall equity holdings across all accounts was up 8.59% YTD according to the You Index. The weekly recap reminds me that I did finally buy some foreign equities, FXI, a China ETF that has gotten beaten up with all the trade wars. 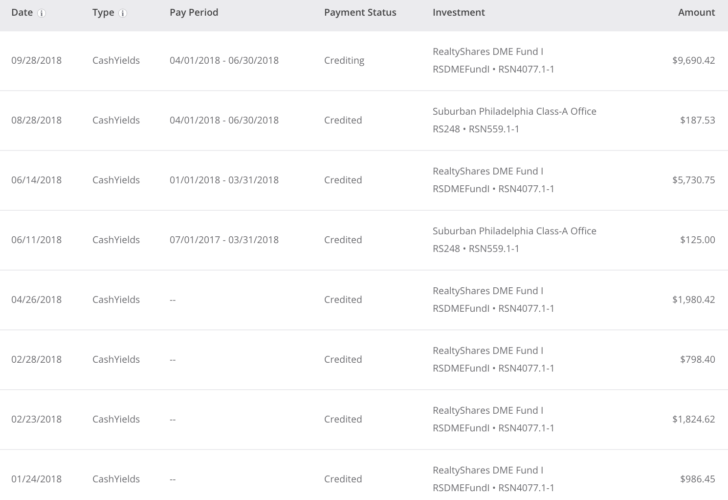 I’ve now got 17 different real estate crowdfunding investments via the RealtyShares Domestic Equity Fund with a target 5-year IRR of 15%. I invested in the Fund because I found I was often too late to get into the deals that I wanted. Further, I wanted to earn a completely passive income where a management committee would stress about which deals to invest in. They would also work with the sponsors to fix underperforming properties. Below are the detailed cash earnings from my real estate crowdfunding investments YTD 3Q2018. I’m surprised I’m getting this level of earnings because all my investments are equity investments with multi-year time horizons and not debt investments. But with 17 different projects, there seems to always be at least one project that is returning money to shareholders. It won’t be until sometime in 2019 when I benefit from the full force of my $800,000 investment in the Fund. The reason is because I built my $800,000 position over a two-year period. I have a $10,000 individual investment in a suburban Philadelphia class-A office building, which was my first foray into the space. My passive income earnings from RealtyShares YTD 3Q2018 is $21,322.74, which far surpasses my $9,600 estimate for the year. Therefore, I’ll be revising my 2019 passive income estimates upwards. So far, I’m pleased with my real estate crowdfunding investments mainly because I don’t think about them until I notice a credit in my checking account, like the one I got for $9,690.42 in September. If I had kept my SF rental house, I’m sure I would have received another three late rental payments and at least a couple requests to fix something this year. Further, I would have already written a $12,000 1H2018 property tax check plus another $12,000 property tax check by December 10. Not having to manage a physical property feels amazing. If you combine the total returns for my the House Sale Fund and the Domestic Equity Fund, it comes out to $88,583 + $21,322.74 = $109,905. Update Nov 7, 2018: Unfortunately, RealtyShares is no longer accepting new investors on their platform. I suggest taking a look at Fundrise, the pioneer in eREITs. They are also currently working on an Opportunity Fund to take advantage of tax-efficient Opportunity Zones. Fundrise was founded in 2012 and is open to all investors – accredited and non-accredited alike. With the 10-year bond yield surging to 3.22%, stocks and real estate will have a very difficult time marching higher in 4Q. My original 2018 predictions called for a 10% rise in the S&P 500, a 3% cap on the 10-year bond yield, and a slowing of coastal city real estate. Anything can obviously happen between now and the new year. But it’s clear to me coastal city real estate is slowing. We should all be starting to worry about the housing market again. In retrospect, it looks like 1Q2018 was the most recent peak in housing prices, and the most expensive markets have been softening since. Take a look at the surge in inventory, the increased days on market, the weakness in homebuilding stocks, and the decline in prices if you don’t believe me. With regards to my real estate crowdfunding investments, the vast majority of the investments are rehab projects that were supposedly purchased at favorable prices. Mid-market commercial real estate generally has more opportunity for buyers given prices are much higher. If you’re a competent operator, the best way to make money in real estate is to improve occupancy rates, increase rents, remodel, and expand rather than simply buy a condo or single family home and hope the market takes it up. I’ve done my fair share of rehabs and I’m thankful to be done. I’m hopeful the operators of my real estate crowdfunding investments in lower cost areas of the country will add value. It feels great to have them put in the sweat equity instead of me. But I’m under no illusion that if the housing market continues to weaken across the country, my investments will suffer as well. It’s hard for me to put new money to work in the stock market or real estate market at the moment. But I’ve held my nose and accumulated more municipal bonds, treasury bond ETFs, and volatile tech names during sell-offs. I’m also waiting for information on the next RealtyShares fund. I no longer mind accumulating cash given I can now get ~1.85% or higher with a money market fund or 2.5% or higher with a 12-month CD. I’m staying patient with my capital. If the stock market does melt down, I’m hopeful my ~40% bond position will help my Housing Market Fund outperform the S&P 500. 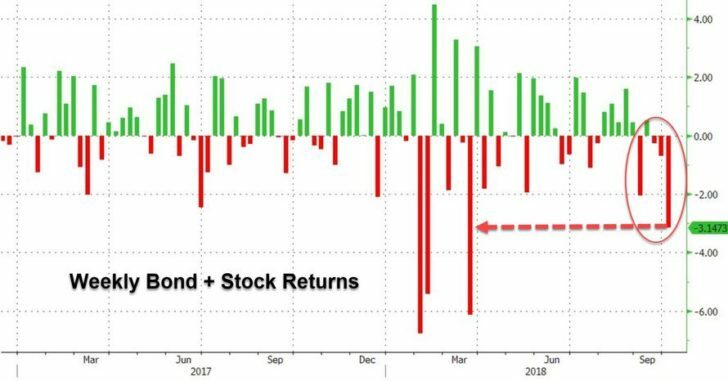 It’s always disappointing when stocks sell off because bonds are selling off. I won’t know the market value of my real estate crowdfunding investments no matter what the stock market does, which is one of the reasons why I like real estate. My year-end targets of 3,000 for the S&P 500 and 3% for the 10-year bond yield are currently looking tenuous. If the 10-year bond yield stays at 3.22% or higher, I think the best we do is an 8% return on the S&P 500, instead of my predicted 10%. I wouldn’t be surprised if I lost ALL my gains for the year as well. But perhaps a massive trade agreement with China and a year-end Santa Claus rally will at least prove my S&P 500 prediction correct. Readers, how have you done so far and what do you see in your crystal ball for 4Q2018? I was just +.1 in Q3. YTD I’m running +.7% net of my living redemptions. All in I’m +3 on year. I’m a 49 year old retiree and I run a global market market portfolio with more of a quant focus. I tend to go where the bargains. As a global market portfolio guy i’m 50-ish% in bonds. However, rather than half of the equity exposure in US I’m about 1/3 in foreign developed, 1/3 in US and 1/3 in EM. EM and foreign dev hurt me in Q3 . Outlook? The divergence in performance between US and ACWI ex-US is about as large as I’ve seen it. Those gaps close. Always. This time is not different. I suspect rising yields might put pressure on that gap soon. US CAPE ratio is nuts….likely fueled by cheap money and buybacks. Expensive stocks can always get more expensive but I think we may have seen the top even though we never had a euphoric melt up (I guess January could have been the melt up). If I eke out flat this year I’ll be happy. If the dollar falls and EM rallies I could be +2 to 3 on the year inclusive of redemptions. Tough times are back. Thanks for sharing. My +8% is going to 0% in a hurry! Gotta focus on generating money with my own two hands instead of relying on investments as a minority shareholder. But, I am buying on the dips. Hi Sam. I have a good amount of equity in my inland empire house and am wanting to sell it at some point, as i do not care for the location. I hate to give up a 3.5% fixed, 30 year loan though with interest rates rising. I want to move to orange county to get my family into a better location. Am i better off continuing to build equity or just selling and renting until prices come down? I appreciate your articles, as i am a religious reader of you website. Thank you for all that you do Sam! I challenge this, as the companies you invested in (mainly tech) and Reality Shares also employ leverage in their capital structures. I wouldn’t be surprised if after tax and depreciation your investments equal your SF rental return over the mid-long term. Sam, with re to: I no longer mind accumulating cash given I can now get ~1.85% or higher with a money market fund or 2.5% or higher with a 12-month CD. Fairly minor in the grand scheme of things – but thought I’d throw out some options for safe, short term investments – these are Fidelity rates, but I’m sure Vanguard has similar. These are institutional like money market rates and therefore have very high minimums: For $100k+ FZDXX is at 2.07%. For $1m+ FMPXX is at 2.19%. For CA Muni Money Market $1m+ FSBXX is paying 1.32% with tax equiv of 2.27%-2.88% depending on tax bracket. (I’m in MA and FMAXX with $1m min pays 1.35% or 2.52% tax equiv.). Separately, instead of 1 year CDs I would also consider the 1 year USTreasuries which are hard to beat right now at around 2.65%+ (AND state tax free). For treasuries, I personally tend to buy ones that just paid the most recent dividend otherwise your purchase price will include the accrued interest and you’ll get the full interest payment for the respective period. Net net the same except timing of interest received and therefore timing of tax liability. Excellent point about 1-year treasuries! Thanks for the reminder. Love the no state income tax. Rates are solid now. CIT Bank has two promotions, 2.05% 11%, no-penalty CD or 2.15% savings enhancer products. Both are highly liquid. Check out their home page. I’m heavy in real estate notes. Returns for the year are 7.2% after removing living expenses and 11.4% before these expenses. Expenses include two semesters of college (state school) and paying my “fair shair” to Uncle Sam (any relation? ). Portfolio shows one down month, April, with a loss of 0.22% due to both 2017 tax and estimated taxes due. NC area) prices are going higher but not wild like SanFran. https://www.zillow.com/homedetails/6702-Town-Creek-Rd-Elm-City-NC-27822/218862948_zpid/ getting 12% and 2 points and you have the back ground in REI and math to understand and not be BS’d everybody wins! The rehabber will bring in over 100K on this one. What type of IRR are you looking for on RealtyShare deals? 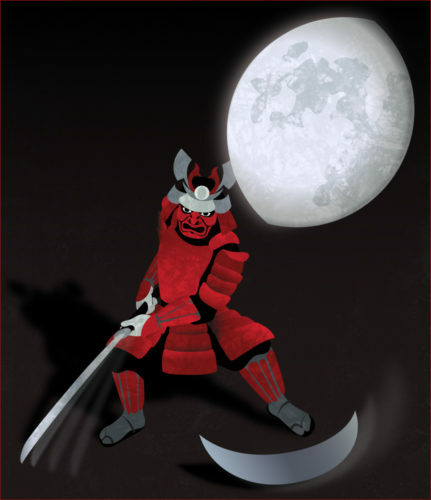 What other info are you looking at when you scout for RS offerings? 15% IRR, but modeling 8% – 10%. Sam-first time writing in. Read your stuff religiously. What do you think the loss of the SALT deduction will have on coastal real estate markets and economies, and the national real estate market as a whole? As a southern Californian, I’ve been amazed that the drop in the mortgage deduction and the $10k cap on SALT (plus the rent control ballot initiative) have not been baked into prices yet and in fact people seem oblivious to the fact that April 15 2019 will be the equivalent of taking a huge salary cut. What are your thoughts and have you taken any action in response to these developments? Thanks! It’s bad for expensive coastal city markets. People won’t realize how bad it is until they do their 2018 taxes by April 15, 2019. I don’t think it’s wise to buy coastal city real estate now. See: It’s time to start worrying about the housing market again, where I address this SALT cap as one issue. I basically just invest in how I believe and write what I believe in versus hypothesizing and doing nothing. I’ve sold one of three SF properties and invested $550K of the proceeds in non-coastal city real estate through real estate crowdfunding. Can you share how your investments are going, and your thoughts on the future? Sam, great read once again. My question is with rising interest rates, people are talking about a bear market in the bonds? To me it sounds attractive from a fixed income perspective if you have short term securities. You can reinvest in higher interest rate securities. Of course I understand that prices go down as yields go up? Am I missing something? Bonds go down, rates increase. If rates increase, the coupon payment of the existing bond is less attractive relative to other newly issue bonds. The bond goes down. 1) Curious about your take on rental property mortgage. Is it better to pay off the loan or leverage and have tenant pay it over the long haul? That would be an interesting article to hear your take on it. 2) I’m in CA too and Propostion 10 has made some noise. It would be an interesting article to hear your take on rent controlled real estate investments. Check out FS-DAIR for paying down debt or investing. It is a simple, but very logical and effective framework. Rent control is great for landlords due to the restriction of supply. As a new reader to your blog thrilled to see how you achieved your financial freedom. At my early stage, never realized and gone with flow. Better now then never and taking my steps towards financial freedom in next 10 years. I am at 34 with family of three. never owned house and always rented. There are many blogs to talk about savings but I felt confidence with real expectation on your blog. Thank you. Never invested in stocks or anything except 529 plan. Looking forward any beginner suggestions or blog post to start on. Better late, than never for sure. The key is to forecast your future misery so you take steps now to counteract that potential misery. 34 is still young, especially if you still enjoy what you do. Be careful out there though as stocks and real estate are expensive. Market has been beat up, valuations, and betting there will be trade war resolution. How’s your portfolio going and what do you foresee in the investment landscape? Thanks for the update, Sam. Looks like your House Sale Fund is humming along. Since I’m a recent retiree (October 2016), my portfolio is overly conservative. A lot of bonds and cash. But even though I’m overweighted in fixed income, I’m still making steady progress. Portfolio is up $160,000 in my first two years of retirement. Now I just need my lone individual stock investment–a lithium concern–to go bananas and I’ll really look like a genius. Come on electric cars! What a nice upside surprise on your RE crowdfunding earnings. It doesn’t seem easy putting the proceeds of a house sale into investments. From the looks of things, it seems you really took the time to analyze different scenarios and allocated your funds in an intelligent and quite strategic manner. You’re doing great! Sam, It was interesting to read your Real Estate Crowdfunding experience to date. Do you have a take on this space in general? Maybe a new blog topic idea- review of the status of each of the best accredited and non accredited investor real estate crowdfunding platforms. 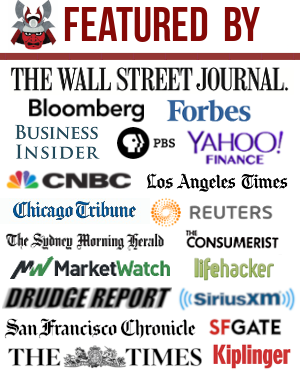 I am especially interested in your take on the upcoming Cardone Capital Equity Fund V.
Sure. Check out: The Real Estate Crowdfunding Learning Center, where I’ve put together my key posts talking about the space. Is the annual return on the realty shares fund almost 10%? That seems pretty attractive. The target IRR is actually 15% for the fund, but I’ve modeled closer to 8% to be conservative. I had dinner with a couple of the people related to the fund a couple months ago and they said their IRR is on pace to be achieved. But, with interest rate headwinds over the coming years, I’ll be very happy if the fund returns a 10% IRR. 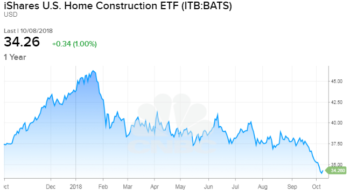 Many REITs, whether being equity or mortgage-backed have dividend payout ratios 6% – 13%. Some of them are invested in specific sectors (healthcare facility, data centers); others in commercial properties. Granted interest rates are going up, which are negative to REITs stocks, but the dividend payouts sustain as attested in the last cycle. Do you or others have any thoughts on investing in REITs as opposed to realty shares? Are you sure the payout ratio is that low? I think the payout ratio by law is 90% or higher. Or are you confusing payout ratio with dividend yield? Which REITs are you invested in and why? I’ll take a look at the performance. How has your performance been this year and what are your thoughts for the future? I apologize for typo. I meant dividend yields of each REIT. I own small amounts of a variety of them, TWO, AGNC, NLY, EQUINIX, HCP, MRT and SBRA, ARI and STWD. Healthcare clients typically sign a long-term contract and the aging of population are tailwinds to those REITs. Many data centers have been/will be built due to demand of cloud computing. It is worthwhile taking a look. All are high dividend stocks so do not have much price appreciation. I will answer your 2nd question in another reply. I think we might be looking at a historic collapse of financial assets. It will start in the bond markets. Equity markets are the last to catch on, at least the dumb money in stocks. That’s a pretty big call. We haven’t seen anything yet. Wait until futures are down 2000 plus points and the breakers are tripped. But the real bubble is in bonds. Rates could back up fast. Systemically a leveraged economy cannot handle that. I love your doomsday view. Can you share where you are in your financial journey, how your investments have performed YTD and what are you investing in? Thanks grumps! It’s not past performance you should be focusing on. It’s what the landscape will be after the transition to a new monetary/trade system. Since 2008 the rest of the world has been laying the infrastructure for a new paradigm not dependent on EuroDollar financing. See John Scurci of Corona Capital and Luke Gromen of FFTT. With all the brinksmanship between the US and Russia & China, we really have to be hedged for binary events sure to come. For the EuroDollar system broke August 2007 and has never recovered. Look no further than Deutschebank as evidence. Since the RMB was allowed into the SDR in Oct 2016, SAFE ( China’s Sovereign wealth fund) has stopped officially reporting additions to gold reserves though it’s been obvious she never stopped. She is prepping for a FX war to end all FX war. She’s hiding her strength in order to disgorge USTs for Belt & Road projects. Spend your bad money first, hoard the good stuff. What’s coming can’t be seen on a chart, but clues can be found in the history books. What’s coming will likely be a political overnite decision and less so a market one. The debt load has been masked for a decade by negative real rates. With rates rising it’s becoming apparent to even the casual observor we have a fiscal disaster looming even w/o a recession. If cap gains stop, tax receipts will drop a lot. We could easily see a 3T annual deficit soon. This time next Xmas of 2019 the debt clock could be turning over to a 25 handle. What if rates are 5%? Just run thru some scenarios. We’ve run out of balance sheet runway. The interest alone will exceed spending on defense & entitlements. We’ve become an emerging market and the world is not going to finance our military enforcement of the dollar. I like the portfolio diversification which prepares you for any market scenario. I feel you’re right to be skiddish about adding any new funds to the stock market or real estate market given the upward bias seen interest rates. 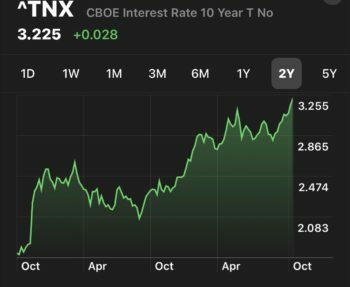 Granted, since the 10-year Treasury rate bottomed around 1.5% two years ago, the stock market has done fabulously well, so who really knows? Many thought a more-than-doubling in long-term rates would kill the market but it decided to rally instead. I commented on your post about inverted yield curves and said I thought the temporary swoon in long-term interest rates would be transitory. I feel interest rates will continue to climb going forward as we reach a more mature part of the economic cycle and inflation begins to set in. This gives my wife and I pause because we’re currently saving for a house and wonder what the implications will be for us when we decide to purchase. Our anxiety about buying into a softening market has benefits and drawbacks. First, we see the opportunity to get a decent deal as more homes come on the market and keep prices subdued. However, we fear catching a falling knife. Luckily, we’re about two years from having sufficient scratch to buy our own place and the real estate market will have developed a better trend by that point. I think it’s fair to say going forward, it will be a lot harder to justify sizable move-ups in the stock market absent large macroeconomic developments or trade agreements between the U.S. and China. It will be interesting to see how the mid-term elections play out. If history is any guide, Ken Fisher from Fisher Investments notes the quarter of a mid-term election and the two subsequent quarters have high probabilities for being up quarters for stock markets. Fun times ahead. I’d wait until winter 2019 or winter 2020 to buy a home, especially if it’s in a major city that has a had a huge run up since 2010-2012. There really is no rush now for the next two years IMO. I’d be shocked if the housing market continued to climb at its previous rate. That’s what we’re planning to do, honestly. We don’t have a pressing need and could honestly afford a nice place now but will be moving in the next year. Down the road, we’ll be looking to purchase in the same area as you, as a matter of fact. The Bay Area market really scares me because it feels so overvalued and ripe for a correction. Patience will be key for us. Given the timing we’re looking at (2-3 years), do you have suggestions for how we should handle our down payment money? Currently, I’m in the process of moving from equities/index funds to a more bond-heavy portfolio to preserve capital. We’re using Betterment to transition our holdings from a 95% equity portfolio to a 80%/20% bonds and stocks portfolio. It will continue to transition to 100% bonds over the next 2 years. Do you see moving directly into short-duration Treasuries (ideally 2 or 5 year terms to match the timeframe for when we’ll be looking to buy) as a wiser decision? I can’t in good conscience hold the down payment funds in cash but I also want to de-risk and lower my equity exposure. Sam, well done YTD! With my diversified portfolio, I’m only up about 5.5% for the year. My international equities and bonds pulled me way down and my REIT has been flat. That’s OK, last year international equities were up over 27%! 5.5% is great in this market. Famed hedge fund manager David Einhorn of Greenlight Capital is down ~20%! I’m thinking of allocating more towards international equities… but the US is relatively so much stronger and more stable it’s hard. 27% last year is huge! Which markets? Very impressive work Sam. Given how the annual S&P 500 return is calculated vs. Personal Capital’s You Index, your investments have been doing well this year. Even given then downward movement of your Netflix holding, you’re still on par. Really emphasizes the importance of diversification. Other than munis, what fixed-income asset classes hold down the fort? You said you had a 60/40 allocation. Just wondering what the 40% looks like. Mostly individual municipal bonds, some muni bond funds and treasury bond funds. I feel that even if your investments don’t keep pace with the house you sold you should not feel like an idiot. You sold that house because the management of it was weighing on your mind. Keeping it filled with good tenants, property taxes, etc made it far less enjoyable than putting your money elsewhere. I feel you have already won the game (you have) and that you can start deploying your money into assets that don’t require constant micromanagement or give you hassle/headache. If you don’t make that extra 1-2% profit a year it is not the end of the world. But that extra peace of mind is priceless. Therefore I would not beat yourself up no matter how these new assets perform compared to the real estate holding you got yourself out of. Think of all the stuff you accomplished when you freed your mind from the mental drain that managing a property no doubt has on everyone. Thanks, when you have choices, it can be hard b/c you easily can compare how things would have turned out if you hadn’t made XYZ choice. Hence, the key is accept a decision and move on. The biggest thing I value now is time with my family. That’s it. Nothing comes close. You will never go broke making a profit! The paradox of choice! The more options we have, the harder it is to decide and the more likely we will be dissatisfied with our eventual choice. #homerehabbing! Since you live in a high tax state, have you considered saving cash in t-bills versus CD. Along with the tax benefit, you could possibly position yourself to have less interest rate risk in a rising rate environment. Just curious. Most definitely. The majority of my House Sale Fund is in municipal bonds where there is no federal or state tax on the income. I don’t mind too much that rates are going back up b/c I continuously have cash flow to put to work that will benefit from higher rates. If I can get a risk-free 4% gross yield, I’m probably going to go 70%-80% fixed income and call it a decade. A related question muni bonds was brought up in the other article you wrote. In addition to tax advantage, what is your reason to buy muni – is it for generating as much passive income as possible or is it for total return, or both? If passive income is the only goal, then one would chase after higher coupon rate. If the total return is more important, then one would chase after the higher YTM/YTW. It will be interesting to learn your thought on the strategies if one wants to achieve both goals. Thanks. I’d love to hear your investment strategy and I’ll look for the year and learn from you. Please share. My after-tax account portfolio is 30% muni bonds (no bond funds)/70% stocks and stock ETFs. After reading this site, I created a PC account a couple of months ago so I am not sure I have meaningful data. In any case, my index for the last 90 days according to PC is up 2.3% which is lower than S&P and Dow, as I am primarily a value investor with many dividend stocks. I do own FB and GOOL but do not own NFLX/AMZN, both of which have P/E over 200 if I am correct. My experience of late 90s taught me to be wary about those high-fliers. Back then, CSCO and INTC had P/E over 100. They then crashed and the prices did not recover until 2016/2017. Maybe I am too conservative. My outlook for the market is not very rosy. I feel current S&P P/E is artificially depressed due to stock buy-back and tax cuts. Next year, we will no longer have “stimulus”. I think we will probably have a recession late 2019/early 2020. I plan to further reduce growth stock holdings gradually next year. I am looking forward to other people’s perspectives.